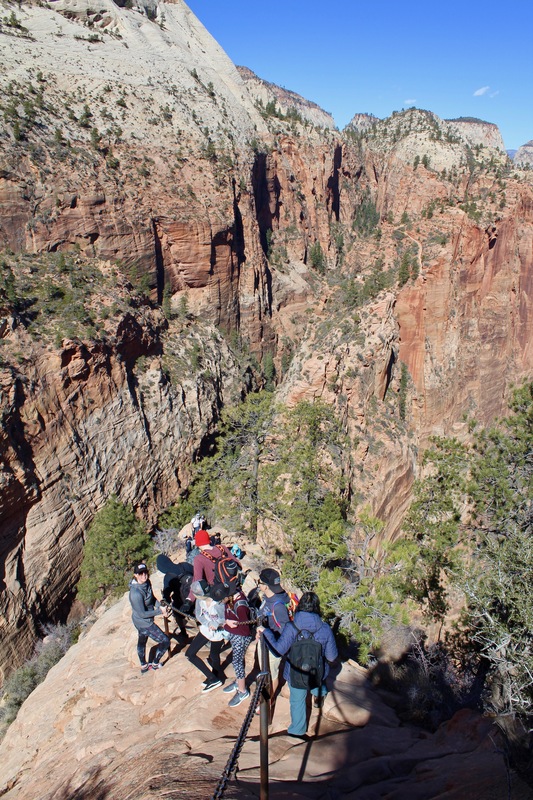 Angels Landing hike is the epitome of living on the edge both literally and figuratively! 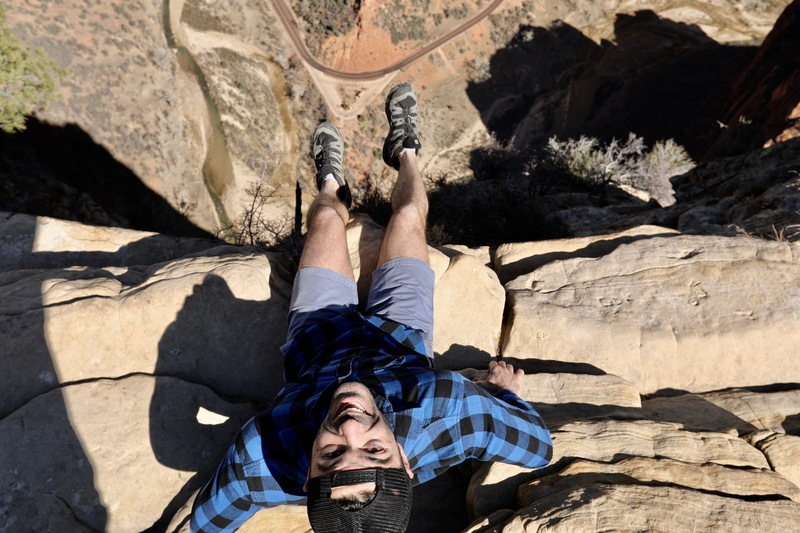 There’s a reason it’s known as one of the scariest and most dangerous hikes in the United States. The last half mile summit to the top takes visitors on a thrilling hike along a narrow path with steep drop-offs and chains. 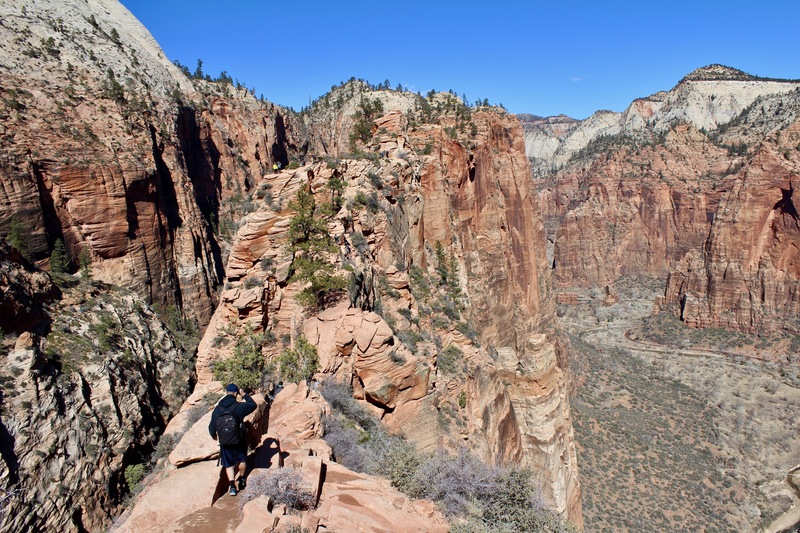 If you’re looking for an adrenaline rush with incredible views of Zion, this is your hike! 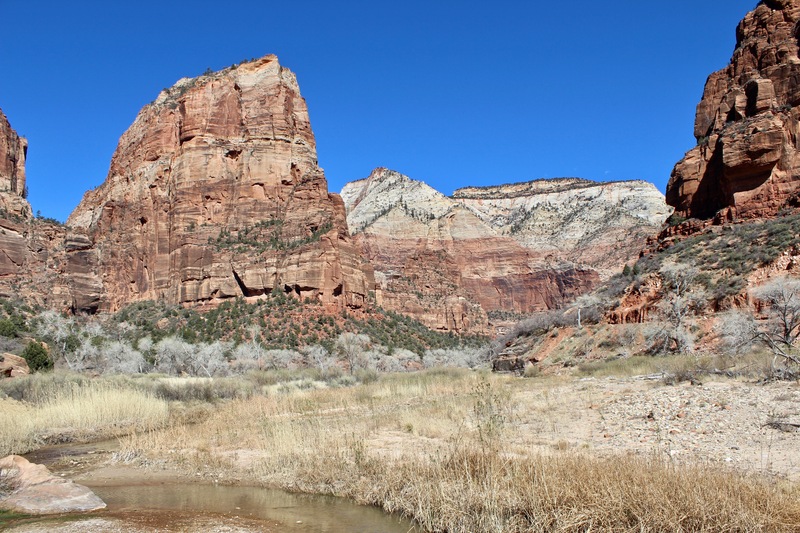 Zion National Park is located in southwestern Utah near a small town called Springdale. Upon arrival there is an entrance fee that varies depending on your car and group size. During peak seasons, parking lots fill up fast! If you can’t nab a spot within the grounds you’ll have to park in Springdale and then take a shuttle or walk to the entrance. 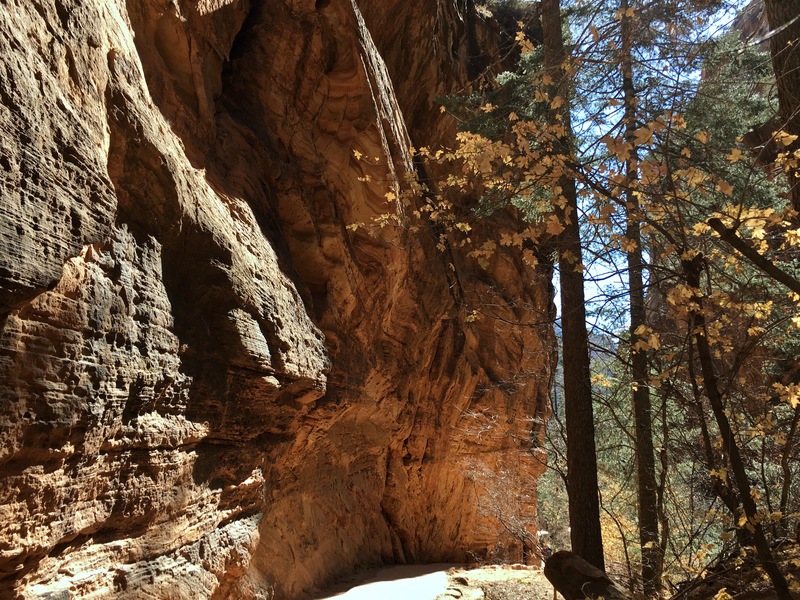 Within the park, Zion has a free shuttle system. 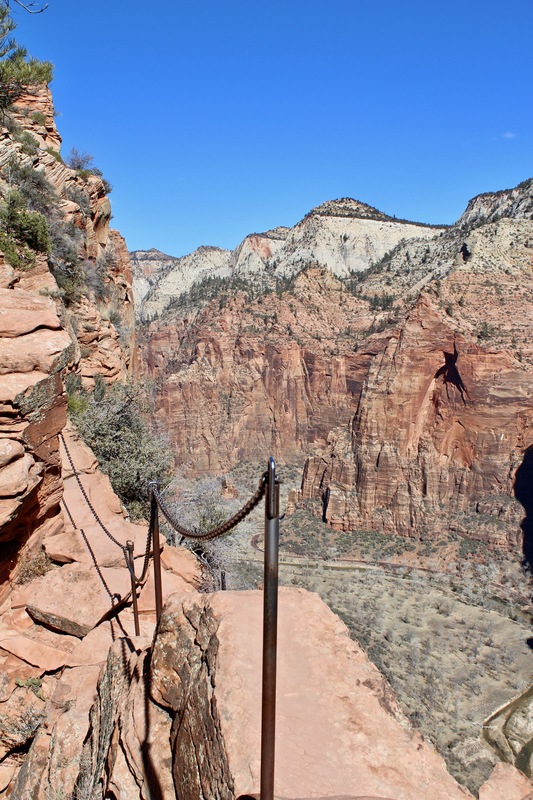 Get on the bus at the Visitor’s Center and take it to The Grotto stop for Angels Landing. 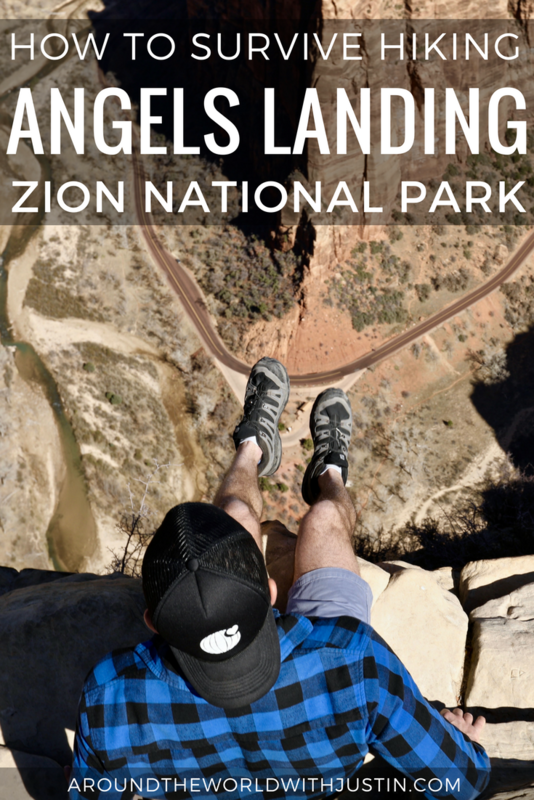 After exploring The Narrows during my second trip to Zion with Visit St. George and Travel Mindset for #InstaMeetStGeorge I couldn’t leave without doing the Angels Landing hike! 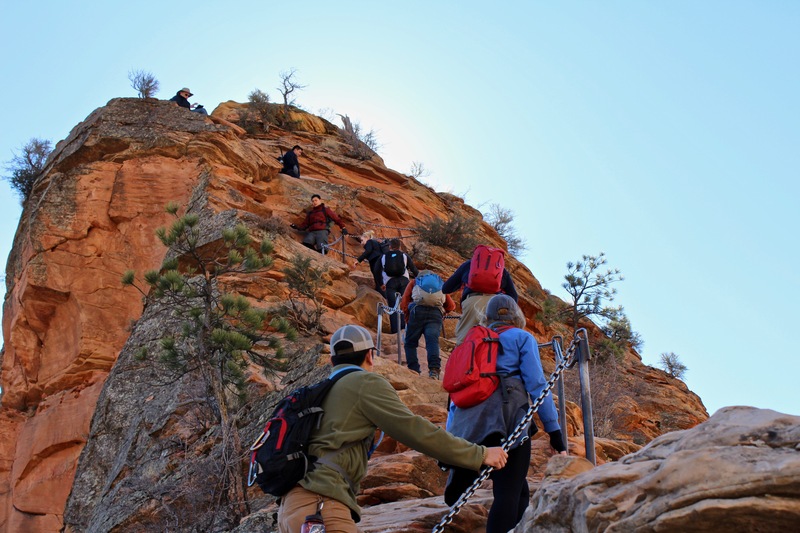 Weather permitting, you can hike Angels Landing year round. 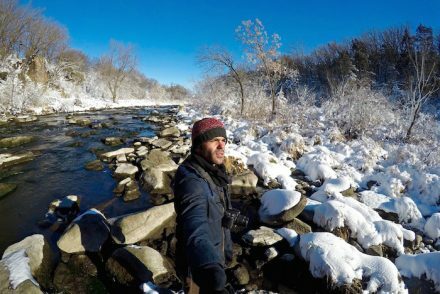 If you’re willing to handle lower temperatures in exchange for smaller crowds, I highly recommend visiting in the winter! 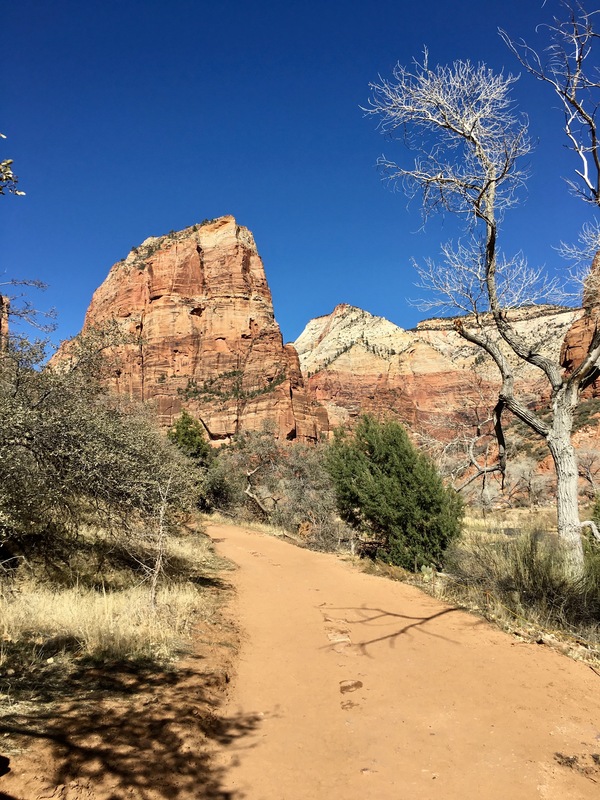 In 2017, Zion National Park welcomed over 4.4 million visitors, most showing up late spring through early fall. While I was there in mid-February temperatures were in the 40s in the morning and warmed up to the 60s by afternoon. 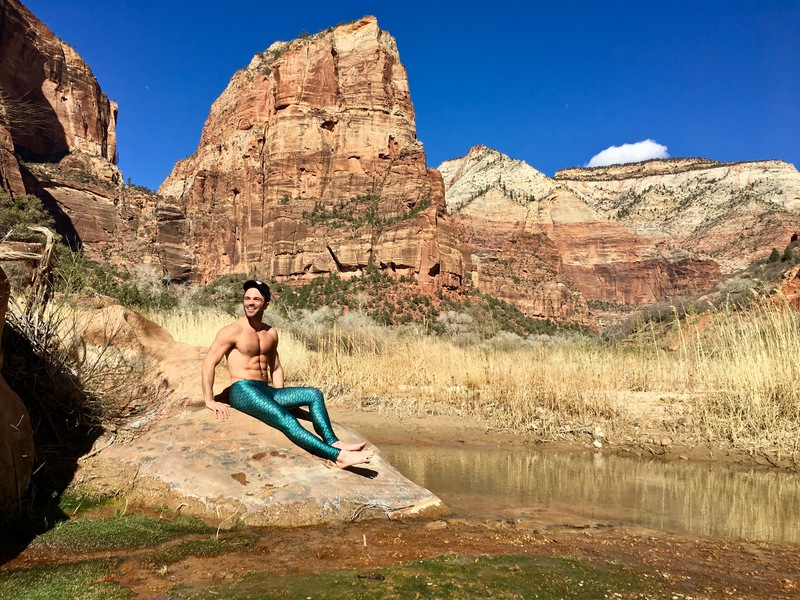 With proper clothing, I’d personally prefer cooler temps for a more private experience especially for the Angels Landing hike. 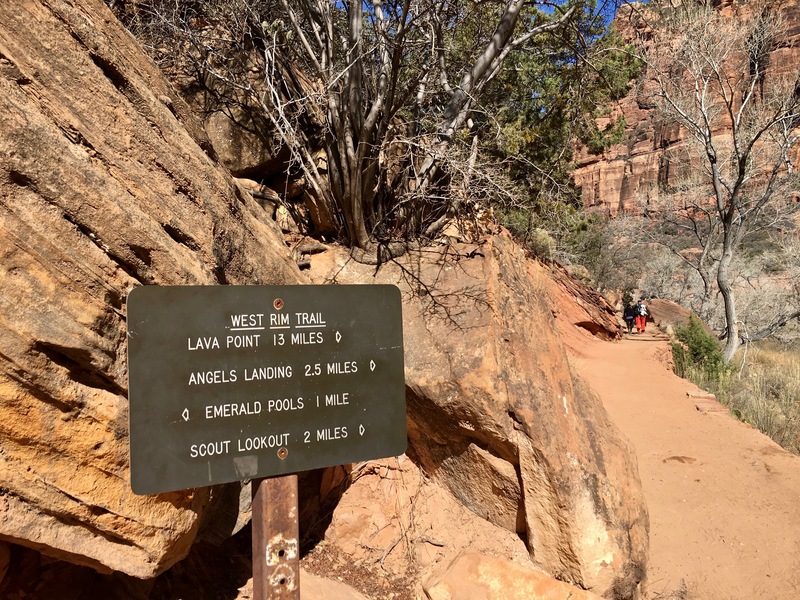 Angels Landing hike is 2.5 miles. Here’s a look at it broken down into 3 sections. 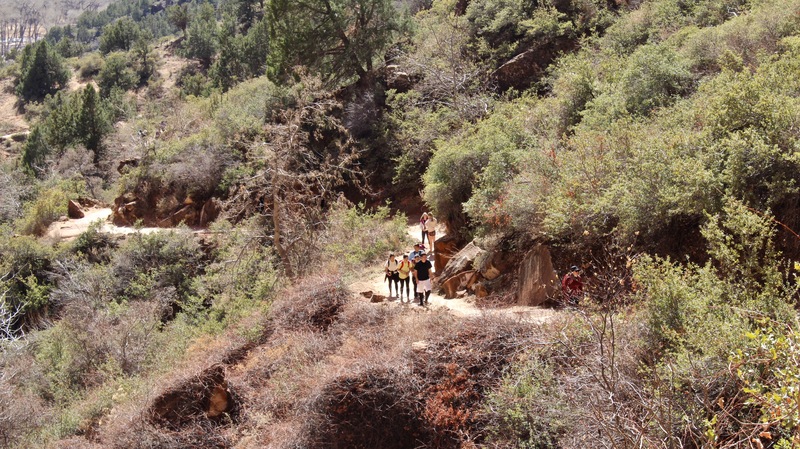 The first section is a gradual incline hike starting on a well maintained trail starting at The Grotto shuttle stop through Refrigerator Canyon. Section two is a series of 21 steep switchbacks called Walter’s Wiggles. 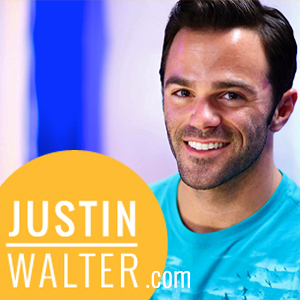 I’d like to claim it is named after me (did you know my last name is Walter?! 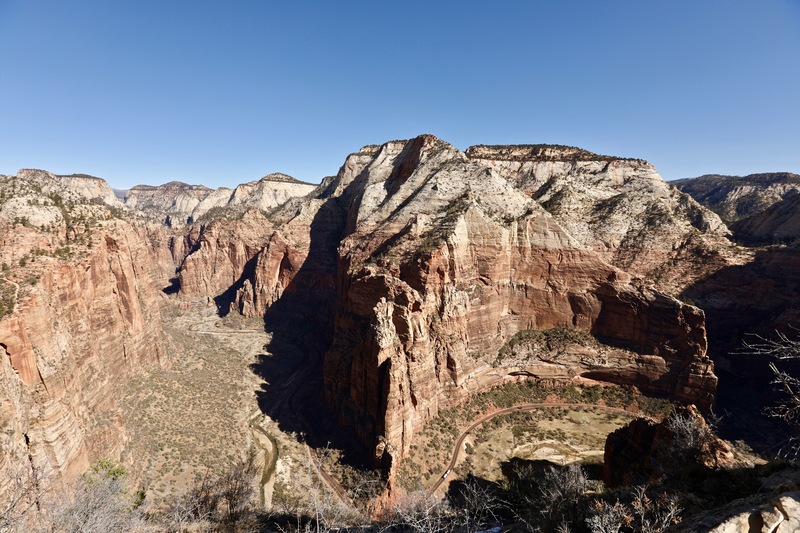 ), but it’s named after the first superintendent of Zion National Park, Walter Ruesch. 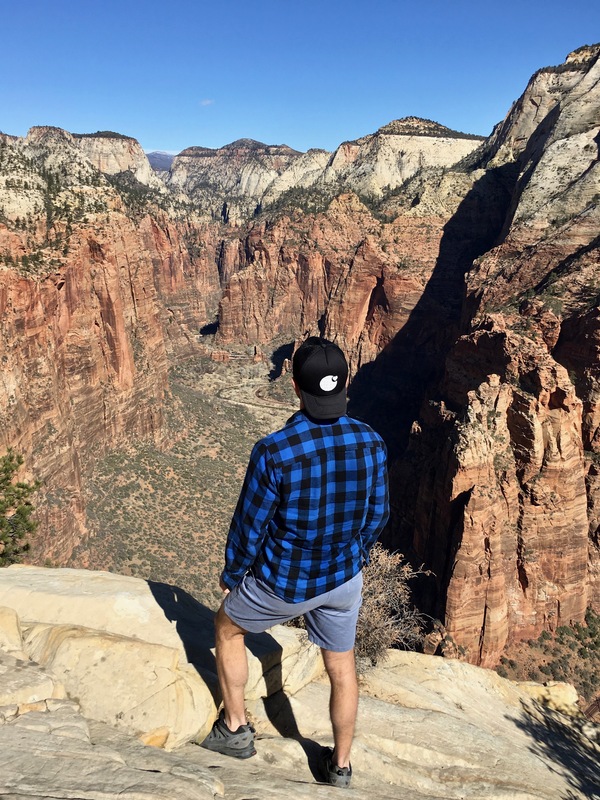 A few minutes after the switchbacks is Scout Lookout which offers a view of Observation Point, the main canyon and Angels Landing. The final and most iconic section is the last half mile trek to the top. 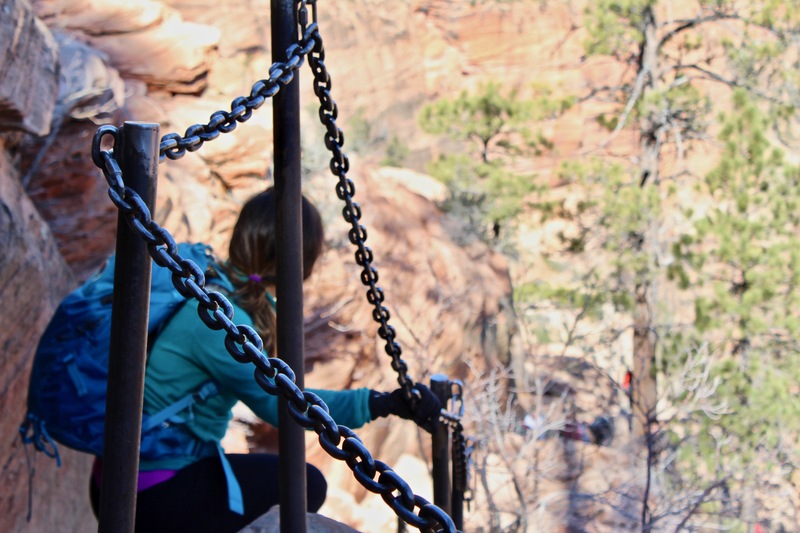 This is where Angels Landing gets dangerous with narrow paths along sharp drops and chains. Throughout the hike you come within feet of the edge, overlooking thousand feet drops. 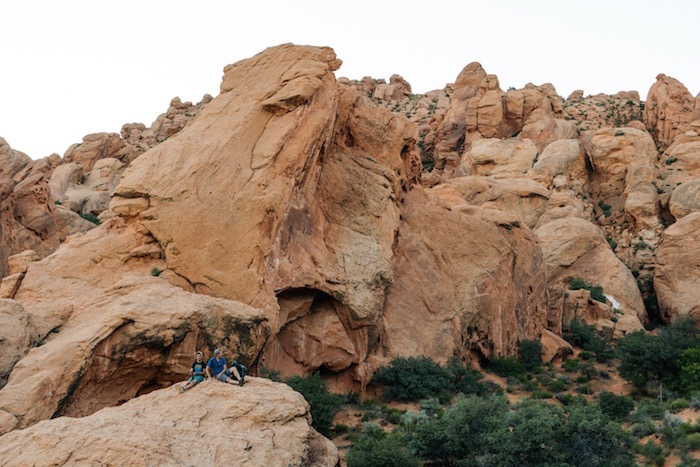 This is also the section where hiking during the winter months is best for smaller crowds. Even in mid-February we had “traffic jams” on the chains. At some points only one person can go on a path that has hikers going both ways. I imagine (and am told) that during high peak seasons this section gets very congested. 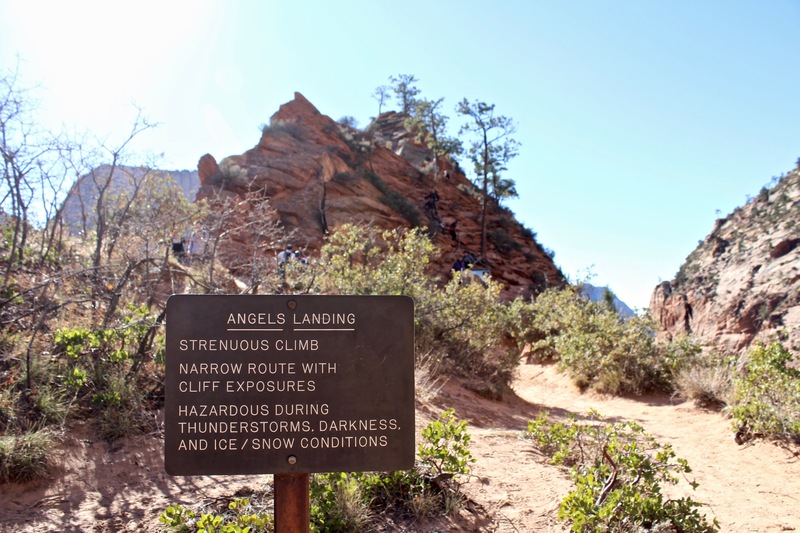 Before hiking Angels Landing I was actually nervous. Just two weeks before my visit, a 13-year-old girl had sadly died from falling. 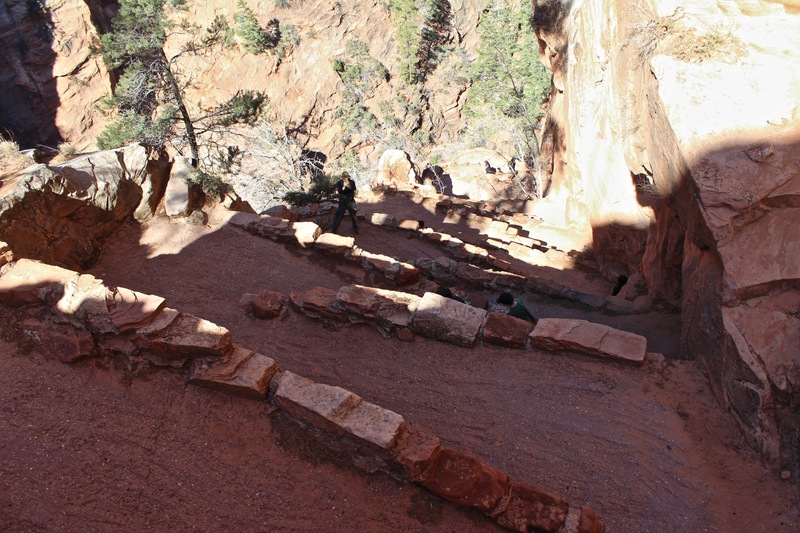 According to the NPS this is the 8th death at Angels Landing (although local media reports over 15 deaths). The hike is dangerous. It’s really important to hike the section with chains with caution and ideally with others. For as much as the danger may be a deterrent, it adds an element of risk making it enticing for adrenaline junkies like me. 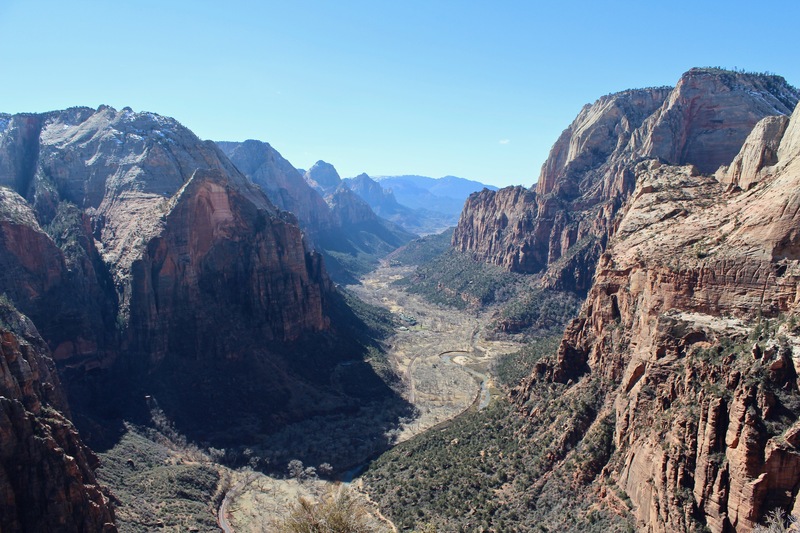 During both of my Zion trips I stayed in St. George, Utah which is less than an hour drive from Zion National Park. 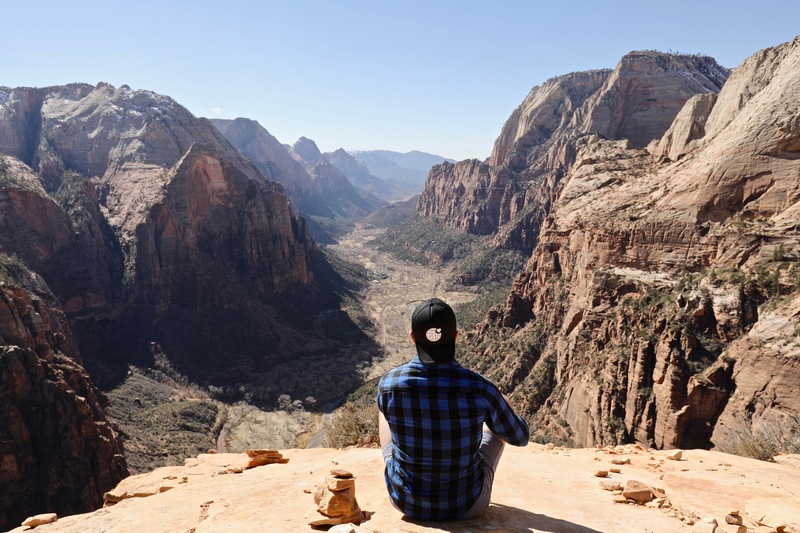 I highly recommend St. George as a convenient home base for the Angels Landing hike. 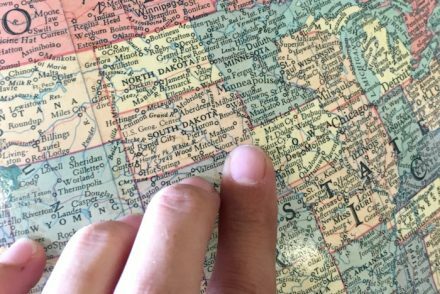 There are plenty of accommodations from budget to luxury and it’s also in close proximity to other scenic parks. I can’t recommend Zion enough!!! 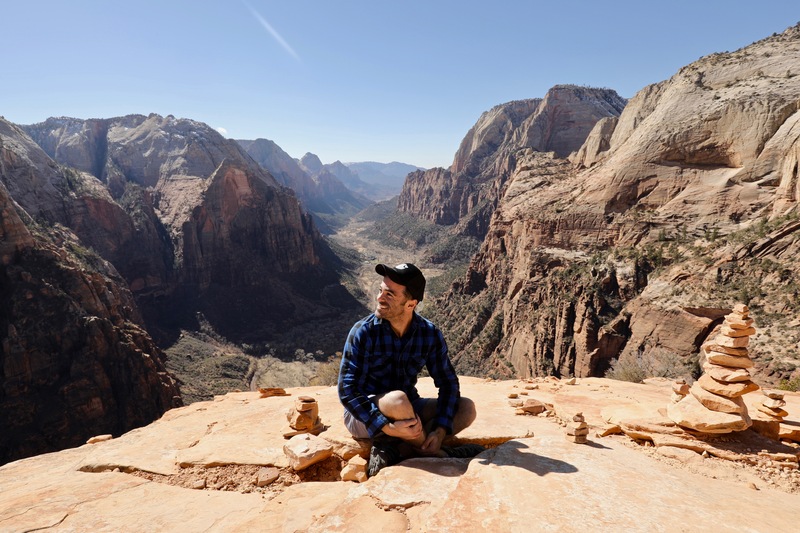 Hiking the Zion trifecta (as I like to call it) – Observation Point, The Narrows & Angels Landing – has put Zion at the top of my U.S. National Park list. 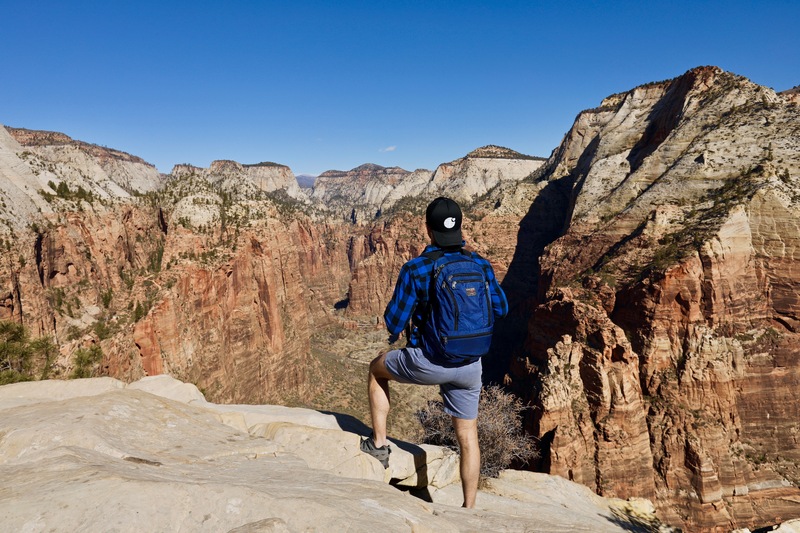 While each hike offers a completely unique ADVENTURE they all showcase the natural wonder that is Zion. 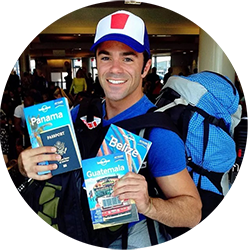 If you’re debating which hike is best for you, reach out to me! I’m happy to help. 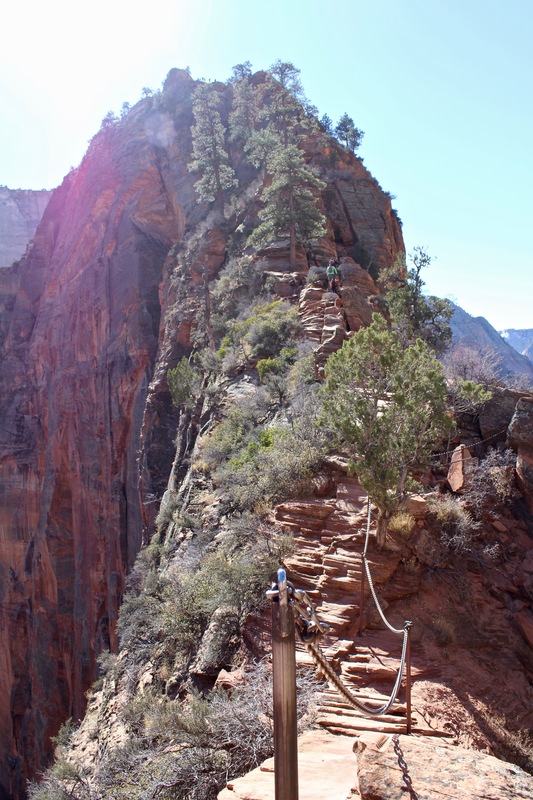 OK, I’m impressed you actually made it up Angel’s Landing! I didn’t think that was going to happen after two failed attempts (the Observation day and the Narrows day), ha. I shouldn’t have doubted you! Thanks Kristen! I was DETERMINED to make it happen. 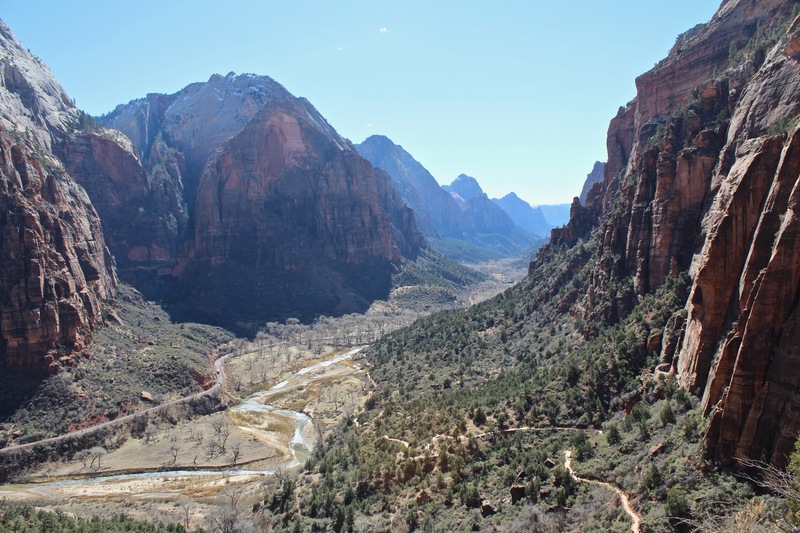 As you know, I’m IN LOVE with Zion! 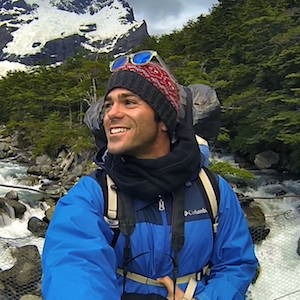 Three incredible hikes!! And still more to see. My son and I went up in early May. Though I wished a had read your article before our trek it was cool to compare notes and reflect back on the adventure using your detailed descriptions. It definitely was intimidating, but yet an absolute blast at the same time. 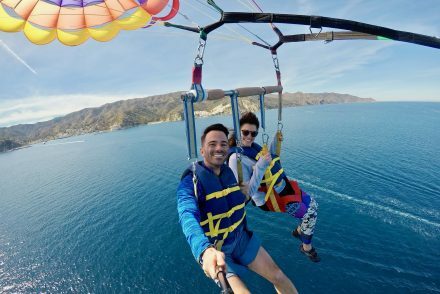 We’d both love to do it again, but I doubt either of us would dangle our feet off the edge.. nice photo! How awesome that you and your son were able to share that experience together! I absolutely love Zion. 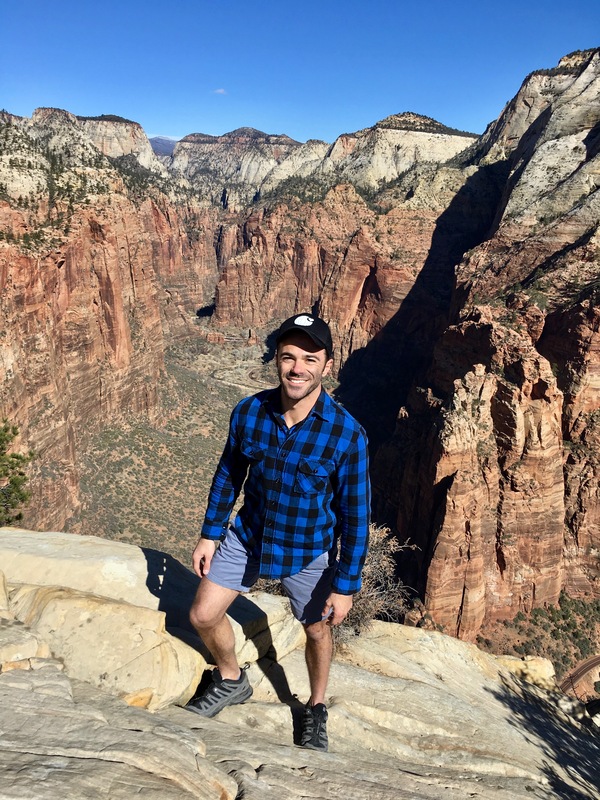 If you haven’t done Observation Point or The Narrows I would recommend checking out those hikes too. I have blogs on each of them to give you a sense of what they are like. Hope you guys continue to have great adventures together.